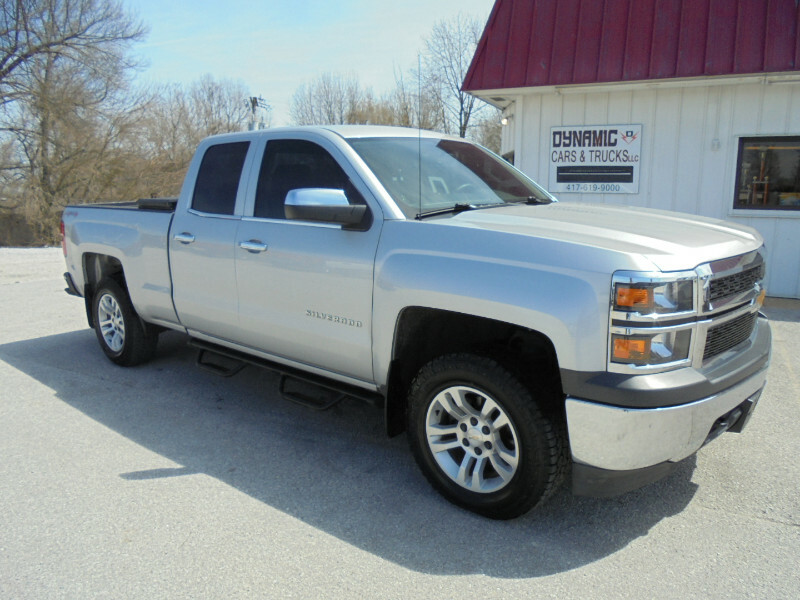 This 2015 Chevrolet Silverado 1500 Double Cab 4x4 is a Clean Car Fax truck that was traded in at my dealership and it has 87k miles and is still under the manufacturers factory warranty until April 2020. This truck comes well equipped with a power drivers seat, cloth seating, carpeting, 4.3 V6, 18" Alloy wheels with newer tires, Chrome accents, spray in bed liner, power windows, power locks, A/C, cruise control, and remote entry w/ remote start. This truck is immaculate inside and out and it drives out wonderfully. It also comes with a Fuel Management tuner optional delete programmer. This truck must be seen in person to be appreciated. Please call 41-732-5465 with any questions or to set up an appointment to test drive.